*Got this for book club. I'm about halfway through. It's decent. *Been meaning to read this for a long time. Nice! Haven't heard of those but I hope you enjoy them! I want to read the Immortal Life of Henrietta Lacks. I will get around to it someday I hope. I have read Madame Tussaud and while I prefer Cleopatra's Daughter, I did think this was an interesting story and I hope you like it too. In Zanesville looks good. I may have to check it out for my book discussion groups. Tussaud looks really good. I remember when I saw it on Goodreads for giveaway a while ago. Hope you enjoy it! Great books! I've also been wanting to check out The Immortal Life. I'm looking forward to hearing your thoughts on it. all those look great!! Tussand looks awesome! Read Madame Tussaud ASAP! I love love love the book!! You got some cool stuff! I've heard some great things about Immortal Life of Henrietta Lacks. Can't wait to see what you think! I definitely want to read Madame Tussaud, and I've heard really great things about Henrietta Lacks. Sure looks like you have some great reading ahead of you. I've heard wonderful things about Madame Tussaud. Hope you enjoy them all, Alison! I've heard great things about Madame Tussaud too! I have it on hold at the library! I hear good things about Henrietta Lacks and that Madame tussaud books looks good. Enjoy your books! I borrowed The Immortal Life of Henrietta Lacks from a girl in book club...we're supposed to be reading it for March...Hope I';ll be able to get into it! 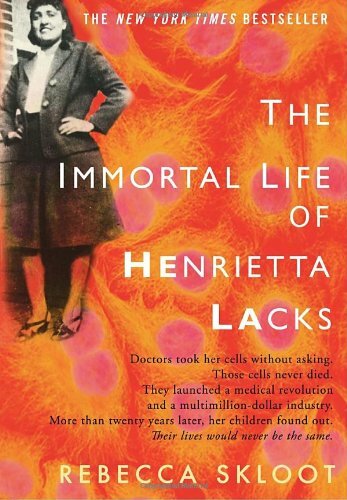 The Immortal Life of Henrietta Lacks sounds interesting. Thanks for stopping by. Happy reading! Interesting books this week. In Zanesville sounds good. Happy Reading! I'll be waiting to see what you think of Henrietta Lacks. I've seen a lot of good reviews for it and have wanted to read it :) Happy Reading! Eclectic books added to your pile this week. I've heard of the Madame one but not the others... hope they're good! I've been meaning to read The Immortal Life for ages as well! Poor non-fiction always gets shoved down in my tbr pile. Hey Alison. Super Mailbox haul. =D I see you like Manga? I do too, although I have never heard of that series. 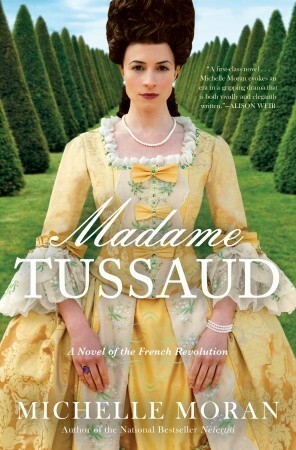 Nice :) I love the cover for Madame Tussaud, it looks really pretty, and it's a really fancy dress, and hairstyle! Happy reading! Nice haul this week! Hope you enjoy. Nice Haul! :) Enjoy your reading ma'am! i also have The Immortal Life of Henrietta Lacks by Rebecca Skloot on my TBR shelf for some time! Great Haul! 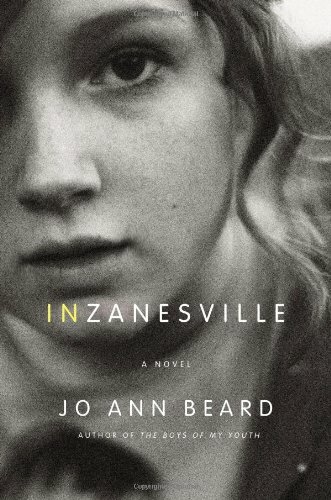 In Zanesville is a book that I've wanted to read for a while, but with so many other books on my shelves waiting to be read, I never to get it. - That's probably a good thing. You mentioned that it is for your book club, do you think that it would be something you would have read otherwise? Oooh manga :D I love manga! Although I never read that one. Hope you enjoy Dengeki Daisy! It's one of my favorite manga's :) Happy reading! I love the variety of your IMM. I hope you'll have a great reading week :) Thanks for stopping by! Madame Tussaud looks great. I need to check that one out. Great IMM, hope you enjoy them all. In Zanesville looks pretty good! Hope you have a good book club discussion about it. Awesome IMM! Hope you enjoy all those books! NIce group of books. Enjoy. Thanks for visiting my blog. Just read Madame Tussaud and really enjoyed it. Happy Reading! Nice manga choice. I will be checking back for your review! Thanks for stopping by my blog!!! The cover of Dengeki Daisy looks familiar, or maybe it's just the art style. Anyway, hope you enjoy all of these. Love the cover for Madame Tussaud! Cool books! I haven't heard of those, but I hope you enjoy them! I really want to read The Immortal Life as well - sounds like a good read, just keeps getting pushed aside! Thanks for stopping by! I've been wanting to read the Henrietta Lacks book! I love reading book on the French Revolution- I have a total obsession with France. I hope you like it. Hm. Haven't heard of any of these books, except Madame Tassaud. Hope you enjoy your books this week! Nice mailbox! Not familiar with these books, but love that you're a library patron! Love my local library! Happy reading, and thanks for stopping by my blog! I hope you enjoy your reads immensely. Interesting books! I haven't heard of most of them but Madame Tussaud looks good! Happy reading & thanks for stopping by my blog! I've been wanting to read the Immortal Life of Henrietta Lacks for the longest time, ever since my school went to go see the author give a speech on it. :D Happy reading, enjoy! Very interesting selection, Alison! Of these, I've only heard of Madame Tussaud, but I'm going to have to check out the others. Happy reading! They all look awesome-and Madame Tussad definitely looks interesting! Yay! Love that manga! The art is pretty awesome, hope you enjoy it! Also hope your book club read improves in the second half from decent to great... Or at least good! Enjoy all your books! Happy reading, and thanks for dropping by my blog! I don't think I've heard of any of these books. Hope you enjoy them all. The Immortal Life is one of mine I have been meaning to read for awhile. :\ I really need to get around to it! Cool! I've been meaning to read The Immortal Life for awhile too! Let us know how it is! Thanks for stopping by my mailbox! Thank you for coming by my blog! Just so you know I loved both Ouran High School Host Club and Sailor Moon (though the editing on the translation probably could have used some work). I've been meaning to check out Dengeki Daisy, and Madame Tussaud is on my wishlist. Great IMM. Gonna check some of them out. Ooh awesome books this week, I haven't read any of them yet but they sound good! Hope you enjoy all of these, happy reading! I am most intrigued by Immortal Life of Henrietta Lacks. I haven't heard of any of these either, but it's always fun to find out about new books from blogs! Thanks for checking out my mailbox and I hope you enjoy all your new books! Hi Alison! Nice IMM, although I haven't read any of these books but I've seen them around the web and they seem to be very popular. Enjoy! Madame Tussaud is somewhere in my reading pile...hopefully I can get to it soon. I love the cover and it sounds interesting. Enjoy! As for the Hanklerfish, Hank Green (John's brother) signed only 5% of the books with an anglerfish doodle, so a lot of the people who follow their vlogs really wanted to get one. I was really excited! haha Did you read TFIOS? Great mailbox this week, Madame Tussaud looks really interesting. 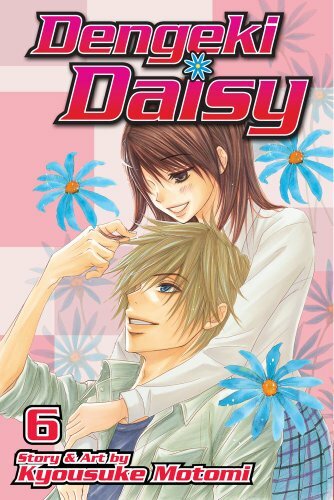 I really want to read Dengeki Daisy. I've heard of Madame Tussaud, but I'm usually not a big fan of historical fiction. I hope you'll like it, though. Inzanesville has been on my wishlist for quite some time. I really want to read The Immortal Life of Henrietta Lacks, but haven't gotten to it yet. Can't wait to see what you think of them! I've been meaning to read Dengeki Daisy for a while. I need to get on that! That's quite a wide selection you've got there! I've had Henrietta Lacks for the longest time and still haven't managed to read it. From what I've read about her, it's a fascinating story. I am so curious to read your thoughts on Madame Tussaud. I've been meaning to read a Michelle Moran book for so long, and that one looks really good.